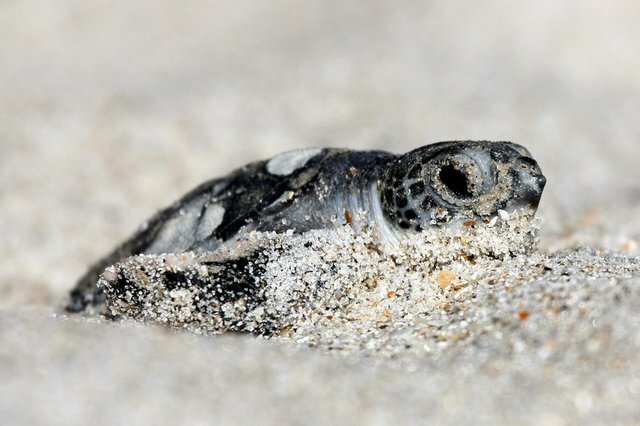 Endangered green sea turtle nests had once numbered as low as 62 in Florida in 1979, where they are often the victims of fishing lines and human hunters. But now, conservationists at the Archie Carr National Wildlife Refuge in Florida report that the endangered species' numbers are soaring -- this year, there were 35,000 nests at the refuge alone, thanks in large part to a ban on harvesting the eggs. "It's astounding that once you stop eating a species it really starts to come back," Blair Witherington, Research Scientist at the Florida Fish and Wildlife Conservation Commission, told NBC News. "We almost killed everyone of them, but now they're coming back." Most of the green sea turtle nests in the continental U.S. are in Florida, which means that the spike is a huge gain for the species. But dangers still remain -- particularly, a disease called the fibropapillomatosis virus is threatening to drain the population.